We are a group of passionate citizens, eager to see more honesty, accountability and competence in our elected officials. We believe that the only barrier to entry into government should be the quality of your ideas and the integrity of your character. Our goal is to empower you to be more engaged in elected government, whether that’s by making phone calls for a candidate you support, running for office yourself, or using our resources to help make the system more transparent and approachable. Moving Philly Forward is dedicated to empowering Philadelphia Democrats to engage in local politics, and to serve as a guide to help our community get the representation it deserves. If you want to help us shape the future of the Philadelphia Democratic Party, get involved today. Carolyn has been engaged with the Philadelphia community though various community groups and non-profit organizations for as long as she can remember. 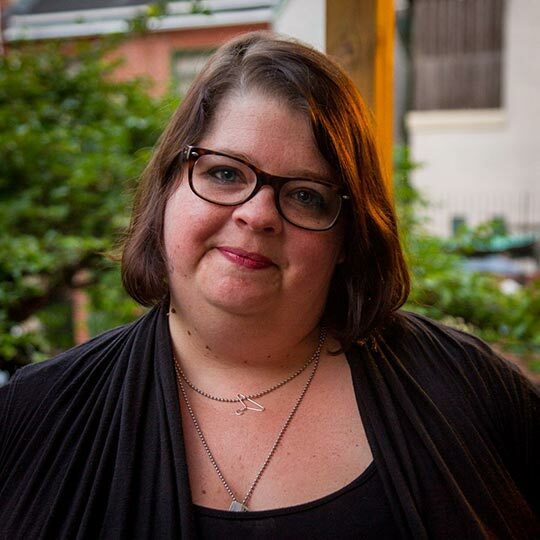 She became involved with MPF at the very beginning, and has worked with the original members to develop the mission of the group, and help shape how we can best serve the Philadelphia Community. As a member of MPF, Carolyn became educated on the Ward System. As a result, she now serves as a the Treasurer and Committeeperson for the 30th Ward. Carolyn is an attorney at Deasey, Mahoney & Valentini, Ltd. in Philadelphia and lives in Center City. Peter English is a musician and filmmaker with a wide range of experience in the Philadelphia arts. From 2009 to 2015 he was creative director for Weathervane Music, a non-profit supporting independent music. As a filmmaker he has worked with independent music luminaries such as Sufjan Stevens, The War on Drugs, Sharon Van Etten, and many more. More recently he has worked as a commercial filmmaker with brands such as Urban Outfitters, Twitter, and The Academy of Arts and Sciences (the folks who produce the GRAMMYS). His most recent work, a hi-tech, new musical instrument called Drumhenge led to him being named “Maker of the Year” at the 2017 Philadelphia Geek Awards. Carolyn Hanrahan is an accomplished film producer, story teller, and event planner, living in Philadelphia. 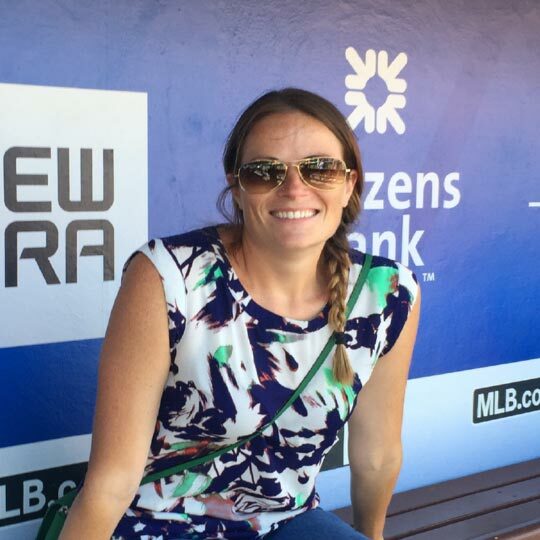 She has worked for the past eleven years at Future View, the premiere event staging and strategic communications company in Washington D.C.
Amy is a highly experienced writer, fastidious editor, passionate marketer, and social media infatuate. Since 2010, she’s worked in corporate communications, digital marketing, and strategic content planning. Currently, she works full-time as the Director of Content for ConantLeadership in Philadelphia, where she creates conversation and community around urgent 21st century leadership issues. She also moonlights as a freelance writer for corporate and small business clients. She lives in South Philly with her husband and is a graduate of Emerson College. A greater Philadelphia native and lifelong Democrat, Amy is dedicated to working alongside her fellow MPFers to do whatever it takes to move Philly forward. Dan Gaidula is a graphic designer in Philadelphia. He owns and operates IceBox Industries, which designs and builds digital products and experiences. Originally from St. Louis, he has lived in Philadelphia since 2005 and has volunteered for Democratic candidates starting with Barack Obama in 2008. Dan lives in Old City with his wife and three very bad cats. He is a graduate of the University of Missouri—Columbia and the Rhode Island School of Design. Katherine Antarikso has called Philadelphia home for the last 15 years. Prior to that she lived in State College, Pennsylvania, where she moved from Jakarta at the age of 10. Having spent her first decade in a democratically challenged country, she is determined to fight for the rights of those who are afraid to speak out. She is excited about MPF's mission to encourage people to run for office, and believes that a more engaged electorate will keep our democracy healthy. She is an architect living and working in Center City. In her spare time, she writes with an art collective, reads her poetry to anyone willing to listen, and performs Indonesian traditional dance at community events. Troy Mullane is a management consultant in Philadelphia. Originally from New Jersey, Troy has lived in Philadelphia for nearly a decade and currently serves as a Democratic Committeeperson in Ward 5, Division 28. Troy lives in Washington Square West with his wife and very adorable French Bulldog. He is a graduate of the University of North Carolina at Chapel Hill. I'm a life-long Pennsylvanian. I grew up in Pittsburgh, and moved to the Philly area in 2002 to attend Haverford College. After a few years as a lab tech in West Philly I went to Penn for medical school, and have stayed in the area for training as a cancer specialist and researcher. I still work at Penn, and live in Center City with my wife Abby and my energetic son Max. The 2016 election was a wake up call, and I knew on November 9th that I had to do something. I started MPF to help people understand how their government works and to get more involved so that we can work together towards a better city, state, and country. Rahul Munshi is a civil rights attorney in Philadelphia. He is a Partner at Console Mattiacci Law, LLC, where he represents individuals in employment discrimination and retaliation litigation. 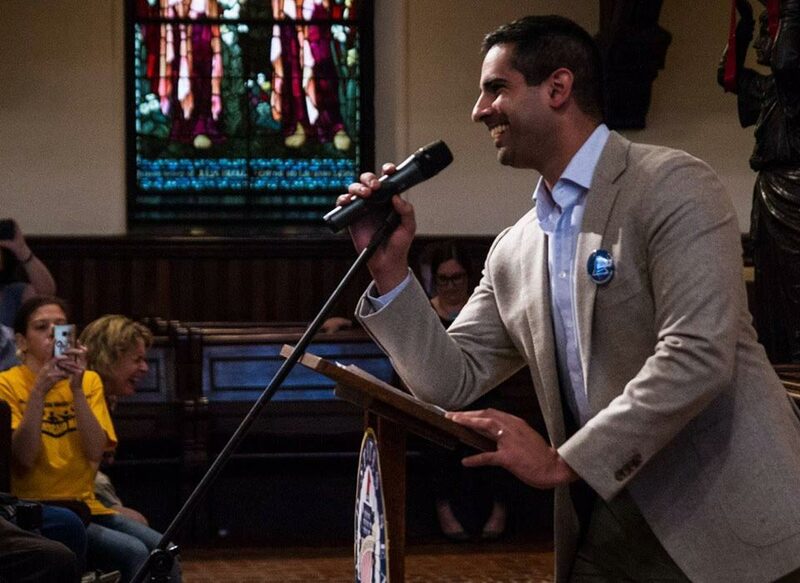 A native of New York City, Rahul has lived in the Philadelphia area for over 15 years and is currently serving as a Democratic Committeeperson in Ward 31/Division 1. Rahul lives in Fishtown with his wife and two daughters. He is a graduate of Haverford College and Temple University Beasley School of Law.